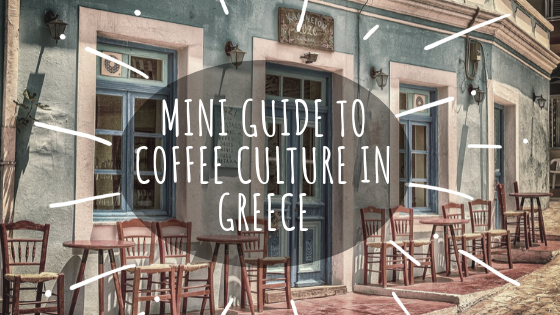 Coffee houses are important centres of culture around the world, and Greece is no different. In fact, throughout modern history these temples of caffeine have continued to serve as daily meeting spaces where locals come together to sip from the black gold and debate on all matters under the sun: from world politics to local gossip. 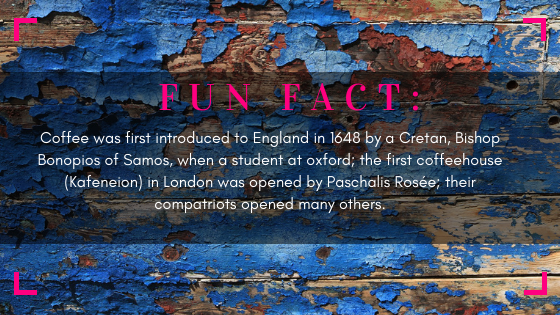 The global influence of Greek coffee culture can also not be understated – indeed it was a Cretan who introduced to concept of a coffee house to England in 1864. In England, when coffee houses were first introduced, they sparked a major intellectual revolution and even the rise of newspapers. In Greece, coffee houses are still male orientated – you will see coffee shops dotted around the country with an abundance of outdoor seating that spill out onto the sidewalks. You will see groups of men sitting around tables where they talk about politics and local affairs whilst playing card and board games, or flicking their worry beads (komboli). Foreign women will be treated courteously – but even today, local women tend not to visit coffee houses in traditional areas. 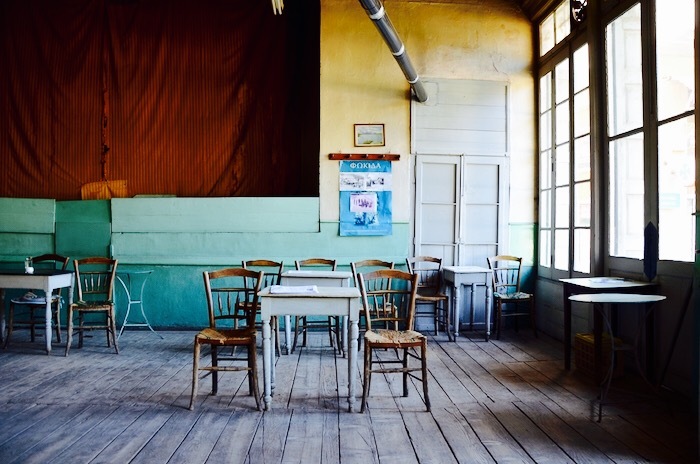 Most villages and towns will have traditional style coffee houses – although as generations progress, these are slowly being replaced by unisex social hangouts such as cafes and bars. How do Greeks take their coffee? 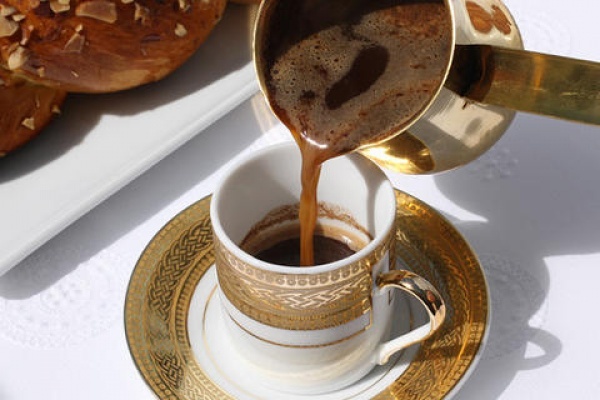 Traditional Greek coffee has been known to be a version of Turkish coffee (a neighboring country). Their coffee is taken black – thick and strong, and made in a small pot called a ‘briki’. It is served with a foam on top, with grounds at the bottom (not to be eaten!) of the small cup it is traditionally served in. The small size of the cup means that it is to be sipped at a leisurely pace, thus fully embracing the social coffee scene in Greece. When ordering your coffee, there is a special set of vocabulary you can use. Although served moderate to sweet and with a bitter hint, you can specify how sweet you want your coffee. To ensure you get the best traditional coffee experience, make sure you visit perhaps one of the lesser known places to tourists and instead to a proper traditional coffee house. A lot of modern places use espresso machines instead of using traditional brewing methods! If you are visiting Greece – do take the time to indulge in this important Greek cultural experience! Highlights: Owner is a greek who emigrated to Texas, but came back to his home country and opened up a café inspired by his travels. 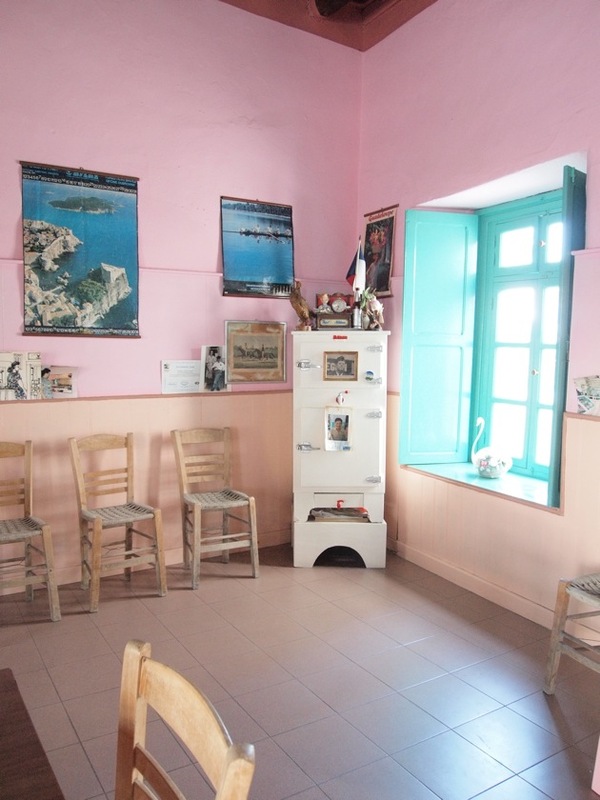 Highlights: First opened doors in 1936 – serving Greek coffee on the pot. Greek movie “The Travelling Players” (O Thiassos, 1975) had a scene shot in this coffee house. 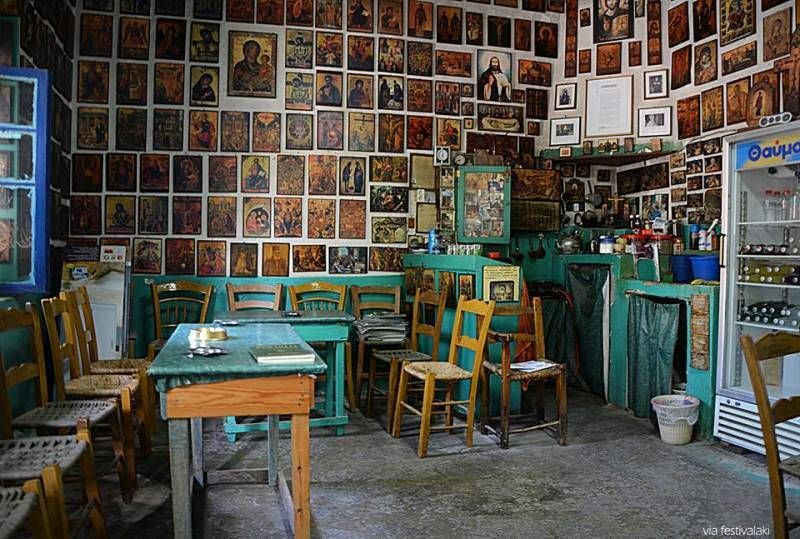 Highlights: All the walls are covered from top to bottom with pictures of saints and clever proverbs.